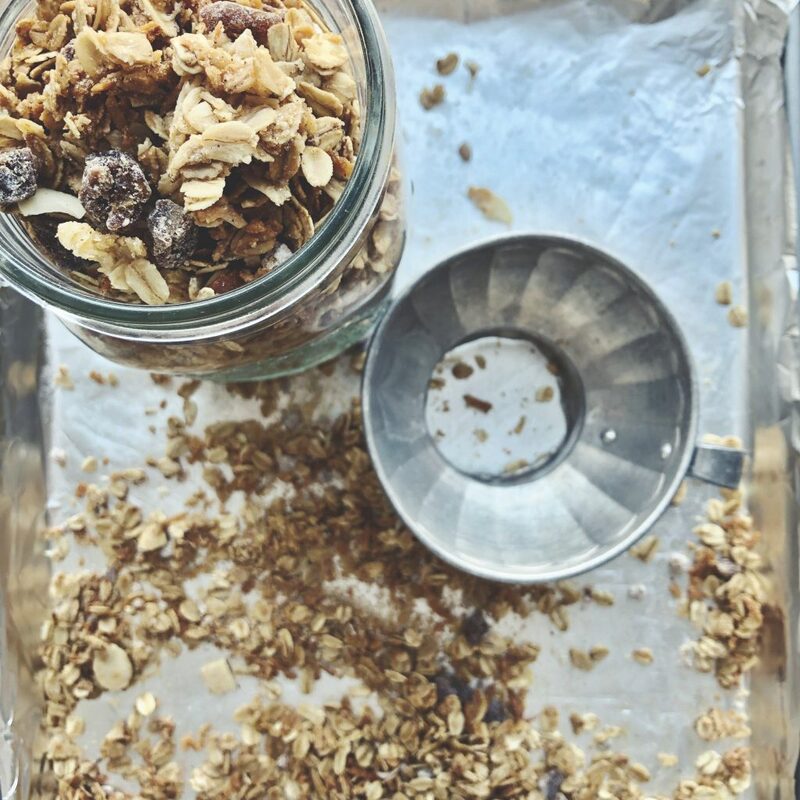 Hailing from the Lazy Genius kitchen, this simple and yet de-li-cious granola needs to be in your breakfast rotation! I’ve said it here before, I find the idea of cereal for breakfast depressing. I’d rather have a warm baked good with my coffee, BUT this granola is the exception to these rather strong sentiments. It’s wholesome goodness and you’ve just got to make it to believe me! I like to mix in chopped dates for an extra special treat! I always double the recipe because we can never get enough. 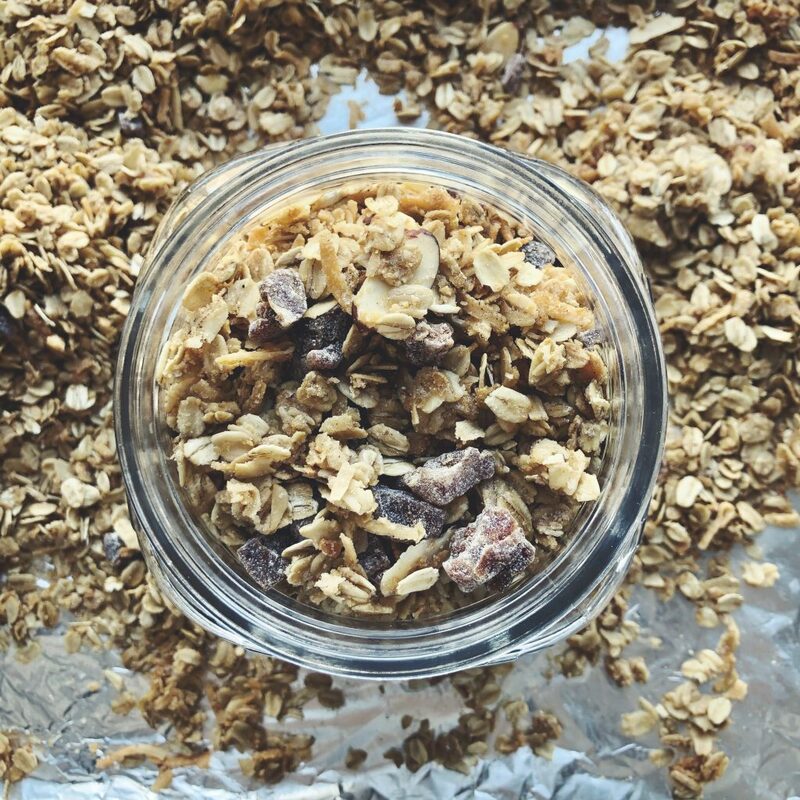 And this granola is also a perfect afternoon snack, so don’t just think of breakfast here, it’s up to the task of an afternoon snack over yogurt or after dinner dessert with ice cream. Preheat the oven to 250 degrees. Mix all dry ingredients together in a large bowl. Add the maple syrup and oil and stir until well coated.